Russian air cargo specialist Volga-Dnepr Group, in combination with China’s Henan Airport Group and Zhongyuan Asset Management, have signed a collective framework agreement which endorses their long-term strategic cooperation. The latest accord follows a series of meetings between the leaders of Volga-Dnepr and Henan province in Russia and in China. 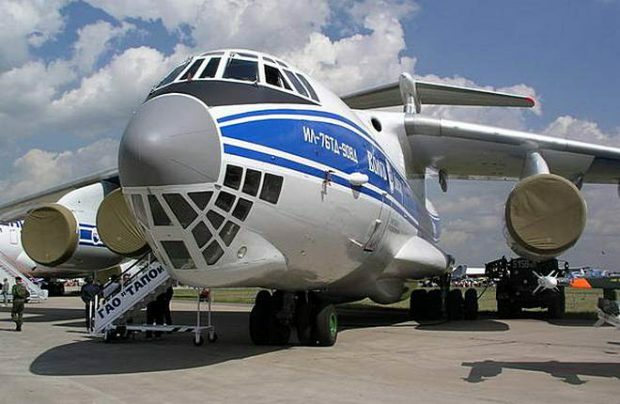 Aleksey Isaikin, President of Volga-Dnepr Group, says the signed agreement represents a new level of commitment to the long-term cooperation between Volga-Dnepr, Henan province in general, and Henan Airport Group in particular. “This brings it to a new level. What unites us and our partners is a shared adherence to our development strategies and global industrial leadership, as well as our determination to make a notable contribution to strengthening cooperation between Russia and China through the creation of a mutually beneficial trans-Siberian air bridge within the scope of the unprecedented ‘One Belt, One Road’ initiative,” he adds. With its unique fleet – which includes Antonov An-124-100, Ilyushin IL-76TD-90VD, Boeing 747 and Boeing 737 cargo aircraft – Volga-Dnepr Group is Russia’s largest airfreight carrier and already has considerable experience in the Chinese market. “The potential advantages of Zhengzhou were obvious to us right from the beginning, notably its advantageous geographical location and the existence of the Zhengzhou Airport Economic Comprehensive Experimental Zone, which boasts a positive development trend. This Experimental Zone is the first and only one in China, and its development is supported by the Chinese government,” Isaikin adds. The ‘One Belt, One Road’ initiative, of which the latest signed agreement is now an integral part, was first announced in 2013 by Xi Jinping, president of the People’s Republic of China. Its specific aim is to develop a new international cooperation model with the participation of China, which focuses on the creation of trans-regional transportation and investment infrastructure and networks. Russia is one of the important strategic partners of the initiative. The third party to the agreement, Zhongyuan Asset Management, was established in 2015 with the approval of the People’s Government of Henan province, and is focused on serving the implementation of the national strategy of the Zhengzhou Airport Economic Comprehensive Experimental Zone, says a statement. Volga-Dnepr Group has long been connected to China through an extensive history of cooperation, first commencing air charter flights to the country in the 1990s. Later, when the group launched AirBridgeCargo Airlines in 2004, its first scheduled freighter services were to China. AirBridgeCargo was also the first foreign cargo carrier to begin operations to Zhengzhou Airport. The airline and Zhengzhou have since established a strong partnership and, today, AirBridgeCargo operates daily B747 all-cargo flights to the airport.